One part Mushroom. One part Brown Sugar. One part Jalapeño… Ten Parts Attitude… BOOM!!! Oh… and did I mention that we wrap ’em with BACON?!? That’s-a nice-a food on a stick-a. I have no idea why I wrote that last part with an Italian accent. 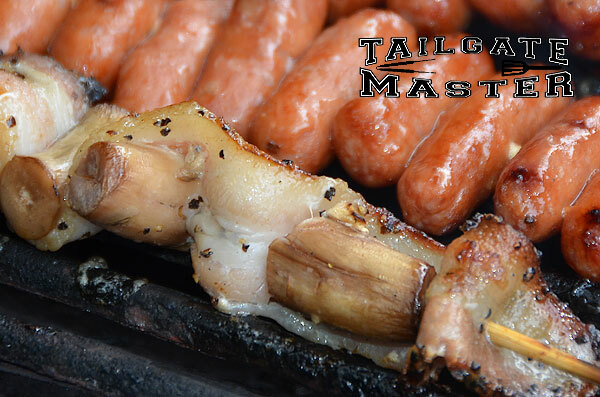 Forget the pasta… let’s fire up the grill and pull out the skewers. 2. 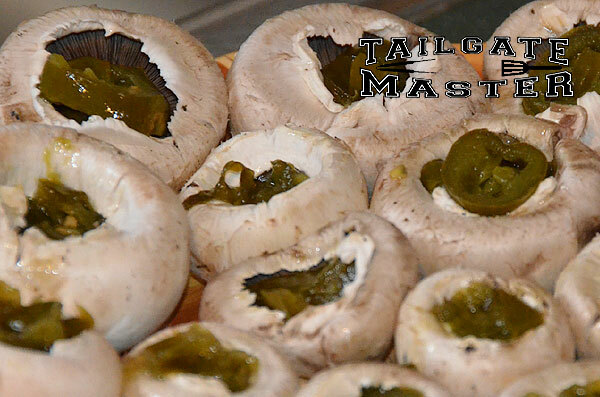 Insert Jalapenos into mushrooms. 3. 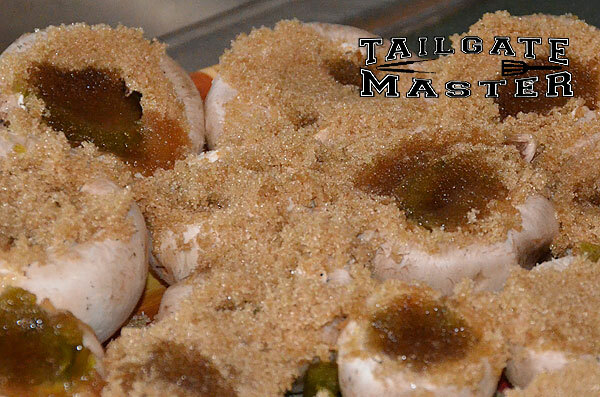 Add brown sugar in mushroom to the top. 4. 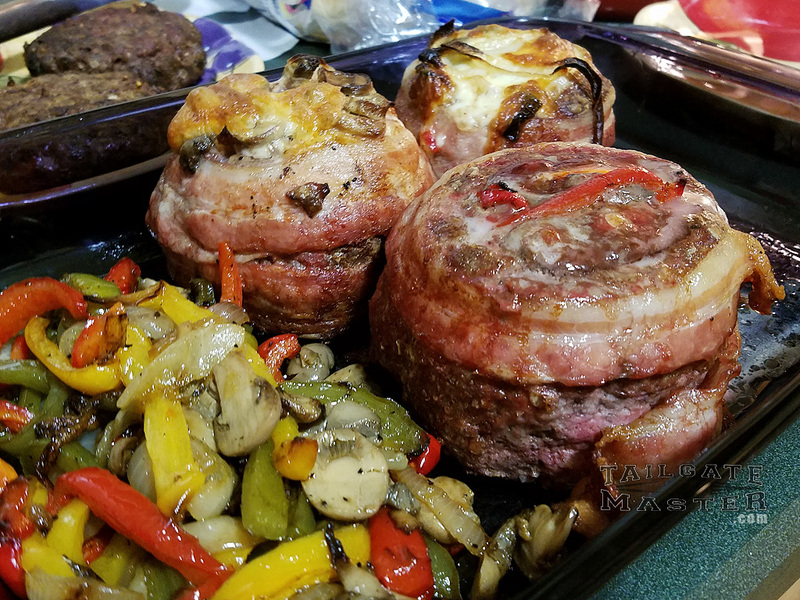 Wrap entire mushroom with bacon and skewer with ur.. um… a skewer, you know… those stick things that you poke thru the meat. You can use them to hold bacon in place. Works great. 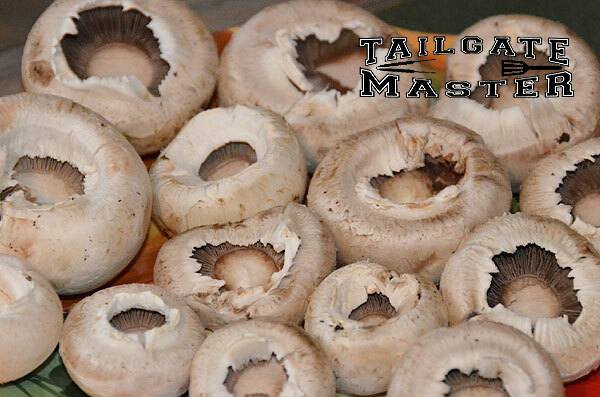 You should be able to put several mushrooms on a single skewer. 5. 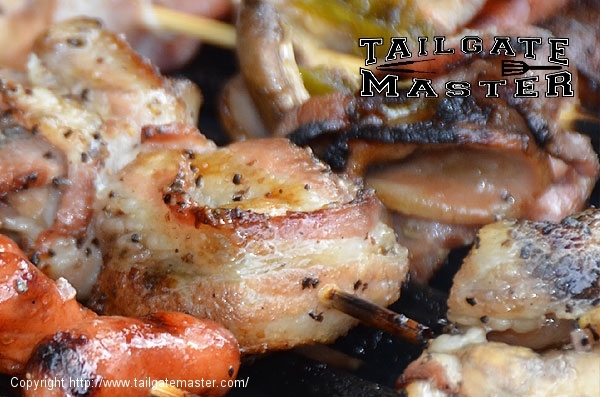 Grill until done… be cautious of flare ups from the bacon grease. Note: Stems can also be skewered and wrapped with bacon. Can’t have too many kabobs can we? Nope. Didn’t think so. Like this Recipe? THANK YOU! Please Vote above and share us on Pintrest or Twitter. Hate this Recipe? Oh… well then, Please click this link.